Seoul Fever: Korean Skin Care: Masks Galore. Korean Skin Care: Masks Galore. I have been into masks greatly these days. I personally love masks from Innisfree, a Korean brand famous for skincare products all extracted from natural ingredients from Jeju island. Their masks are cheap, plentiful to choose from and makes your skin feel great! 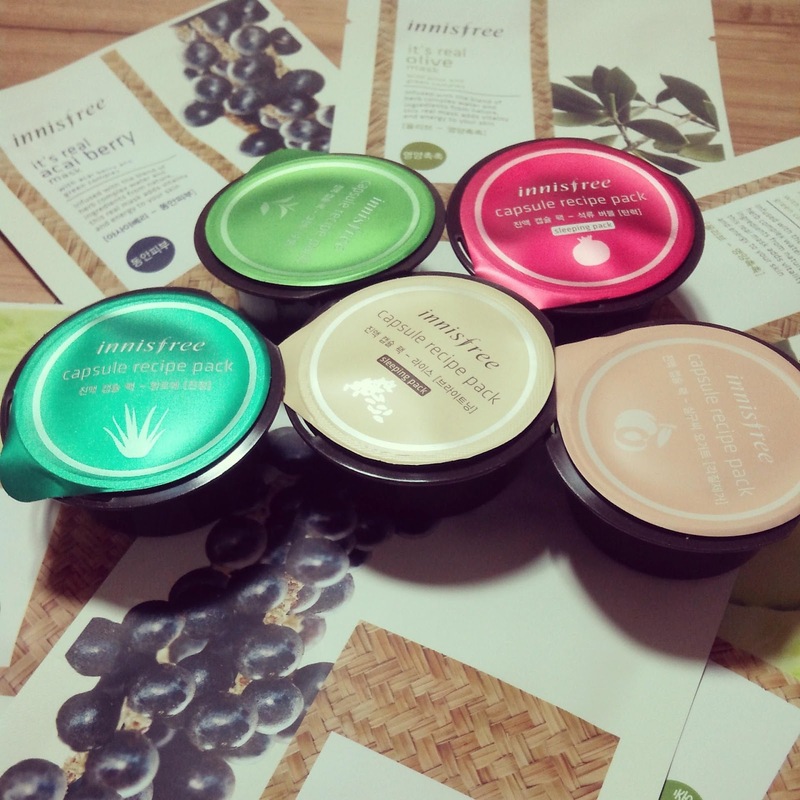 They are having a 50% sale in their stores, so I took the chance to stock up some of my favorites: the little boxes are Innisfree capsule masks (each capsule can be used 2-3 times) and their sheet masks. My favorite are their rice sleeping mask (for brightening) and the acai berry sheet masks (full of antioxidants for anti-aging and revitalizing skin). Really make a different after use!